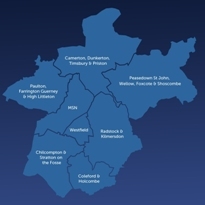 Coleford with Holcombe are in the Midsomer Norton Deanery. To find out more details, please look at the Deanery Directory (latest update 10 April 2019). If you can print out in booklet form please click on Deanery Directory Booklet. If you need to read as a page per sheet please click on Deanery Directory One Page Per Sheet.